 The Macomb Interceptor Drain Drainage District has filed a lawsuit against three local construction and sewer operation firms, seeking to recoup losses incurred as a result of the 15 Mile Road Sewer Collapse, which occurred Dec. 24, 2016. The collapse resulted in more than $70 million worth of repair costs, displaced more than 20 families over the Christmas holiday and closed a portion of 15 Mile Road on the border between Fraser and Clinton Township for nearly all of 2017. On Dec. 19, 2018, Macomb County Public Works Commissioner Candice S. Miller provided a presentation to Oakland Macomb Interceptor Drain Drainage District commissioners. The presentation confirmed that a comprehensive review had revealed that as a direct result of a contractor's negligent failure to follow, and flagrant deviation from, the mandatory flow control protocols, at least eight water hammer and pressure surge events occurred in the MIDD, with major impacts in the direct vicinity of the catastrophic collapse of the 15 Mile Road interceptor on Dec. 24, 2016. The water hammer and pressure surge events directly caused the collapse. "There was negligence on the part of the contractors. This is one of the reasons why you carry insurance. We think it is very reasonable to expect the insurance provider of these contract companies to cover the costs from these mistakes. We were hoping and willing to reach a settlement with the insurance provider, but they have not been willing to negotiate with us and have left us with no choice but to bring this lawsuit," Miller said. "These are good companies, but mistakes were made." Named in the suit are two general contractors, Jay Dee Contractors and Inland Waters Pollution Control, and a subcontractor that worked for both firms, Metco Services. All three companies were performing work in a pipe system operated by the Oakland Macomb Interceptor Drain Drainage District. The MIDD suit alleges that on multiple occasions, Metco employees overrode, disregarded and dangerously altered the mandatory flow control protocols and dangerously altered and disregarded the protocols, that included engaging in repeated manual overrides of the automatic release sequences, and operated the flow control system in a dangerous and unsafe manner, resulting in the water hammer and pressure surge events in the MIDD. The MIDD system serves 11 communities in Macomb County. The Macomb and Oakland arms of the OMIDD combine together in massive underground pipes that runs under the ITC Corridor, between Schoenherr and Hoover roads, which ultimately carries the sewage to a treatment facility in Detroit. The OMIDD board recently filed suit against MIDD, stating a claim that the OMIDD was not responsible for the 2016 sewer collapse. "The OMIDD suit is very unfortunate. We did not file a legal claim against OMIDD, nor do we plan to in the future. In fact, the MIDD actually makes up two-thirds of OMIDD, so we would in effect be suing ourselves even if we did want to make a claim against OMIDD. Unfortunately, I was advised by the OMIDD legal counsel not to attend the OMIDD meeting in which the decision was made to file a claim against MIDD, otherwise I could have pointed this out and avoided this conflict," said Miller. By her position as the Macomb County Public Works Commissioner, Miller is one of three commissioners on both the OMIDD board and the MIDD board. The MIDD lawsuit was filed April 9, 2019, in Macomb County Circuit Court. The Macomb County Public Works Office serves as the operating agent of the MIDD board.